A cultural icon even in modern times, the legend of Robin Hood dates back as far as the 13th century. 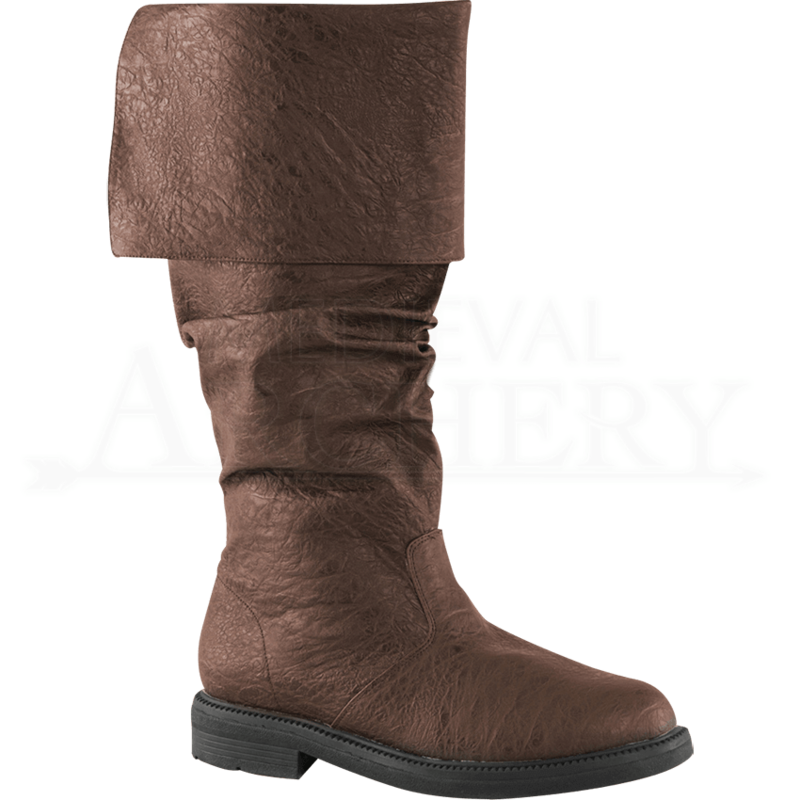 Complete your medieval-themed outfit with these Robin Hood Boots to imagine yourself in the thick of Sherwood Forest with Little John! These knee-high boots are the perfect complement to any Robin of Lockley ensemble. A large cuff folds over the outside edge of these boots, giving them a distinct look along with their slouchy midsection. A 1-inch heel gives the boots an authentic effect, while the full zipper facing the inside allows them to be easily taken on and off. 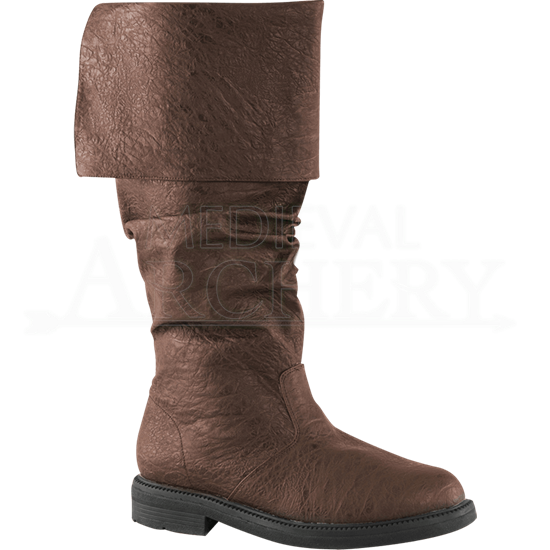 Whether you are an experienced archer or not, you can easily simulate the signature look of the wildest outlaw in Nottingham with these Robin Hood Boots! Standard US Mens Shoe size. Runs True to size. These are not available in Wide or Narrow, just Standard. These are good boots. It was only after a 6 hour outing to the local Ren Faire that my feet began to ache; and this is considering that I'm flat footed, regularly off my feet over the course of an average day, and have prescribed inserts for my shoes that I did not have the foresight to acquire for my pair of handsome 'Hood Boots They aren't lying when they say they're comfy. Also, if you're a US size 9 - 9.5, you should be fine with a Size Small. Great looking boots. They're a little big on me but I have small feet. Nothing some inserts won't fix. Can't wait to wear them at the Faire. Thanks to Mya for helping me return the boots I ordered originally.